The reasons to travel with Micato are many, but they all seem to come back to one thing: our people. Our guests have told us countless stories about Micato staff members who helped make their African Safari or Indian Journey unforgettable. Usually it’s the little things. How their Safari Director not only knew their birthday, but their favourite flavour of ice cream. Or how their concierge had a safari outfit waiting for them at the hotel when their luggage was delayed at the airport. Perhaps it was how their driver drove an extra hour to find that elusive leopard, the one whose picture now hangs above the fireplace back home. At Micato, we don’t simply want to respond to a guest’s request; we want to anticipate their needs. We want to make them feel at home when they are thousands of miles away; to take above and beyond higher and farther. This is our commitment, and it can be seen in the actions of our staff every day, on every safari. Each member of our team is dedicated to providing superlative service—from our Micato Safari Directors, Driver Guides and Concierges to safari planning specialists and the Pintos themselves. And all of us are empowered to make sure that our guests’ experience is delightful in every way. Our people are the reason guests consistently rate us the “World’s Best.” They are the difference between an average safari . . . and a Micato safari. A safari is only as good as the people on the ground—the stalwarts who make sure that every detail of your experience is an absolute, hassle-free pleasure. Thanks to Micato’s reputation as the nine-time winner of the Travel+Leisure award for #1 World’s Best Safari Outfitter-plus the opportunity to work for Felix and Jane Pinto—we’ve been able to attract Africa’s best, brightest and most cheerfully knowledgeable safari staff. In fact, many of our wonderful African team members have been with us for their entire professional careers. In addition, to guiding game-viewing forays into the bush, our Safari Directors lecture informally on flora and fauna, deftly handle logistics, and impart fascinating nuggets of African history, and tribal folklore. Africa is their homeland, and when we visit a village, or tour in a town, our Safari Directors are greeted as old friends, and we are warmly welcomed as friends of a friend, in the enduring African tradition. Micato’s Southern African Safari Directors meet the same lofty standards as our East African Safari Directors. (Wildlife explorations are led by a different set of specialists, the highly trained Game Rangers and Trackers stationed at each of our camps and lodges.) Safari Directors have a deep knowledge of the region’s natural history, and they’re fluent in Southern Africa’s cultural history, current affairs, local art, and vibrant culinary and winery scenes. 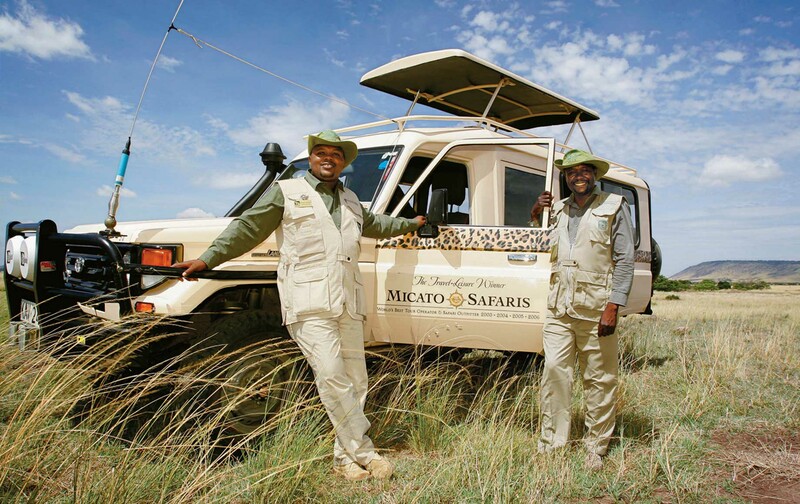 But Micato Safari Directors’ real talent lies in their proven ability to make the logistics of travel calm and effortless for our guests. We select Driver Guides for their discerning eye for even the smallest detail, their sincere friendliness and their dedication to service, thus ensuring an incomparable wildlife experience in an atmosphere of warm hospitality. In addition, every Micato Driver Guide accompanying safaris in the Kenyan bush has attained a bronze-level certification by the Kenya Professional Guides Association, and a number of our Driver Guides are silver-certified. Micato’s unique Concierge Service is on call 24 hours a day, seven days a week, from just about anywhere a Micato safari will take you, from deep in the bush to downtown Jo’burg. They’re at your call in Nairobi, Arusha, Cape Town and Johannesburg, ready to get your prescription medicine to you, make flight changes, return the backpack your daughter left at the previous camp, or arrange a dinner reservation. If you need it, they’ll move mountains to get it done. Micato’s founders, Felix and Jane Pinto, are second-generation Kenyans; their parents came to Africa from Goa, so our roots in the subcontinent are deep and flourishing. In 1990 Dennis Pinto, grandson of those immigrants, founded Micato India along with his dear friend Cecil Haidar Ali. And today, Micato India is under the direction of Cecil’s daughter and son, Lisa Alam Shah and Michael Haidar Ali, both passionate lovers of India, expert practitioners of the art of travel, and, in the Micato tradition, forethoughtfully dedicated to the the comfort and enjoyment of our guests. 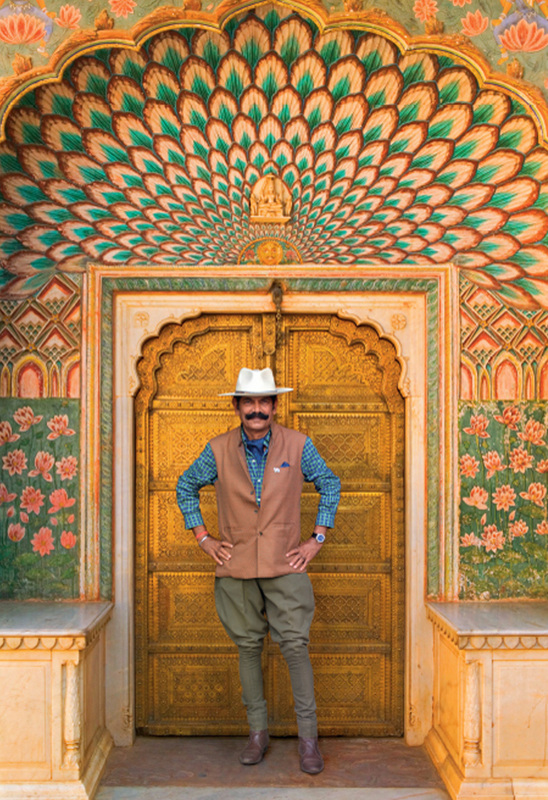 All our India Journeys are accompanied every step of the way by a highly-trained Indian Travel Director. We stress Indian, because of the advantages of being escorted by someone deeply knowledgeable about the land and its customs and dialects, not to mention its myriad and marvellous wonders. Prominent among those wonders are unique encounters with local people our guides have known for years, wonderfully engaging people in all walks of life, from India’s skyrocketing movers and shakers, to traditional artists, cosmic thinkers, and tea shop proprietors with a love for Hitchcock movies.